Dr.Malpani's Blog: Too young for IVF ? I saw a 32 year old woman yesterday, who had had visited many different clinics all over the city. She had already done 10 IUI cycles with three different doctors , and had had a laproscopy done thrice. I asked her - Why did you do so many IUI repeatedly ? How will changing the doctor change the outcome of the IUI treatment ? She said that every doctor she went to told her that they needed to repeat the laparoscopy themselves, because they didn't trust the earlier doctor’s report . They said - I am much more confident about treating you if I can see with my own eye exactly what I’m dealing with ! Every doctor wanted to start from the beginning all over again, because they felt that they were better than the rest. I could see she was completely fed up and frustrated , because nothing had worked so far. I told her that as a general rule. once a patient has failed three IUI cycles , no matter which clinic she has done it at, it’s time for her to move on. After all the definition of stupidity is to keep on repeating the same thing , and expecting a different result. I asked her - Why didn’t you do IVF earlier? And she said - You know , that’s exactly what I kept on requesting each doctor - please do IVF for me ! And they said , " You have unexplained infertility and you are young so why don’t we just do the IUI again ? IVF is meant for older women ! Why are you in such a hurry to do IVF - after all it’s so much more expensive !" Now I do agree that IVF is much more expensive than IUI, and these doctors were not just trying to save the patient some money. The truth is that they were not IVF specialists , and they did not want to lose their patient. 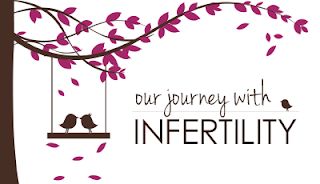 While IVF is costlier, it also has a higher success rate, and once you have failed three IUI cycles , you have pretty much reached the point of diminishing returns , which means that just changing the doctor and trying another IUI cycle is very unlikely to help. Also, for a 50 year-old doctor, a 32-year old woman maybe young, but she's been married for over 8 years, she is fed up of waiting and wants to move on with her life ! Now I’m not saying that patients can’t get pregnant on the fourth and the fifth IUI cycle , but there is a price they pay for this . The price is emotional , and because they get fed up and frustrated, they are no longer willing to consider better treatment options such as IVF any more. This is why it is important that you move on to consider doing IVF sooner rather than later - when you are young, and still have the emotional energy and physical stamina to try. It’s not a good idea to wait until you after you are 35 and then do IVF ! Waiting and waiting will just waste your time, and reduce your success rate. There is no magic age at which IVF is the right treatment - this depends on how long you have been trying ; what your biological problem is; and how many treatment cycles you have already failed. The younger you are when you do IVF , the better your chances of getting pregnant . The more the time and money you waste on doing fruitless procedures , the lesser your chances of getting pregnant with IVF. There is a right time for IVF treatment, and this is a decision which cannot be based solely on your calendar age. Fed up of waiting to have a baby ? Please send me your medical details by filling in the form at www.drmalpani.com/free-second-opinion so that I can guide you better !